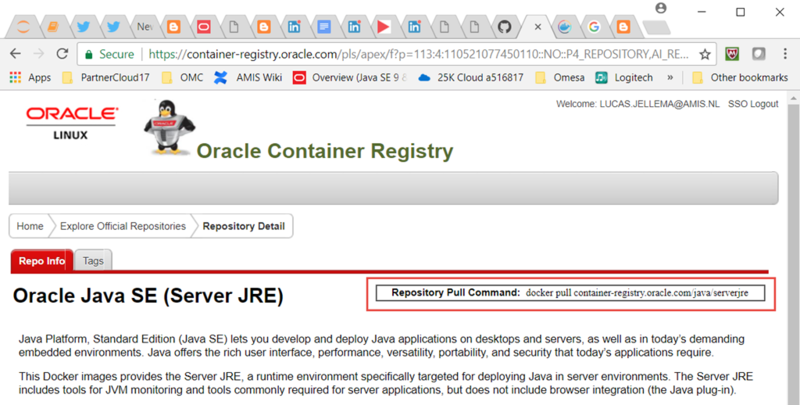 Oracle has been active with Docker for quite some time now. 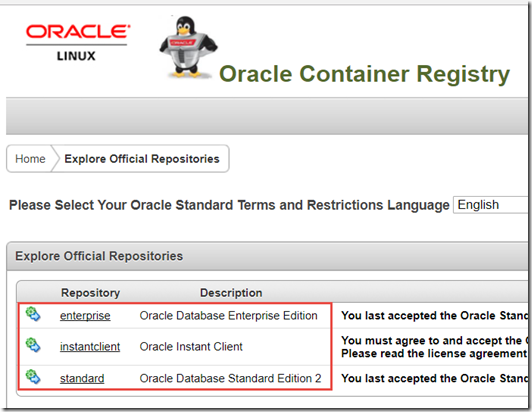 From the first hesitant steps from some enthusiastic employees with Docker build files that helped people to get going with Oracle software in their experimental containers to a GitHub repo with a broad set of extensive Docker build files to create Docker containers with various Oracle product that are supported (https://github.com/oracle/docker-images). And of course the Oracle Container Cloud – launched in the Spring of 2017 that will run custom Docker images. 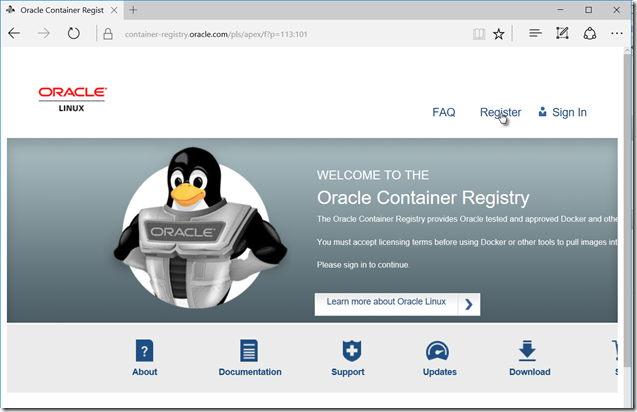 And now recently the next step: the availability of the Oracle Container Registry – Oracle’s own Docker container registry that offers a range of ready built container images with Oracle software. 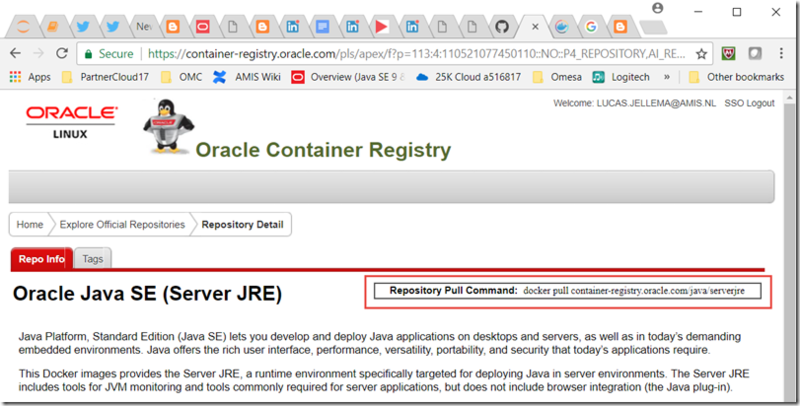 Using these images – all you need to run Oracle platform component on your local Docker Host or Kubernetes cluster is docker pull from this registry followed by a docker run. In this article I will give a quick example of how to work this the Oracle Container Registry. 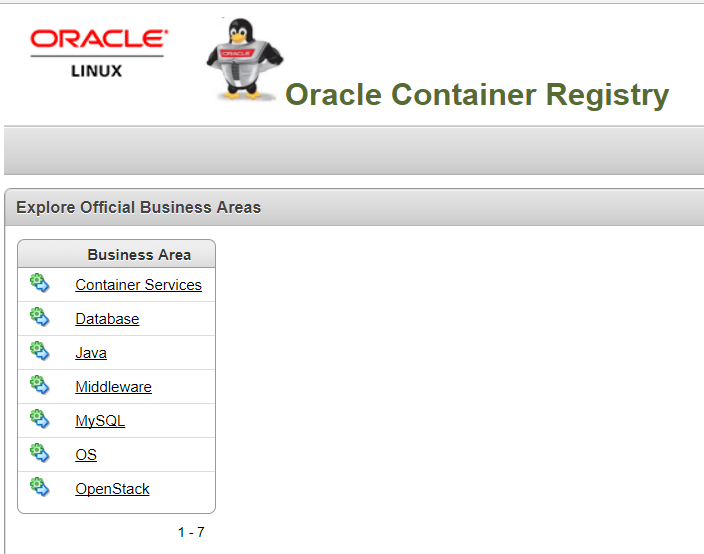 It can be found at: https://container-registry.oracle.com . Provide the account’s credentials. The click on Create New User. After pressing Accept, this image is now available to be pulled from docker. 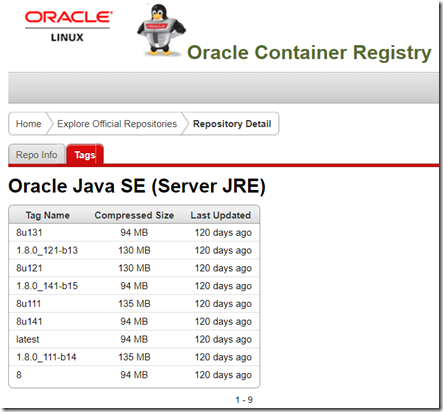 I will focus now on the Java Run Time image – one of the smaller images on the registry – to demonstrate the steps for running it in my local Docker host. We wil go for the latest. The image is downloaded and stored locally in the image cache. 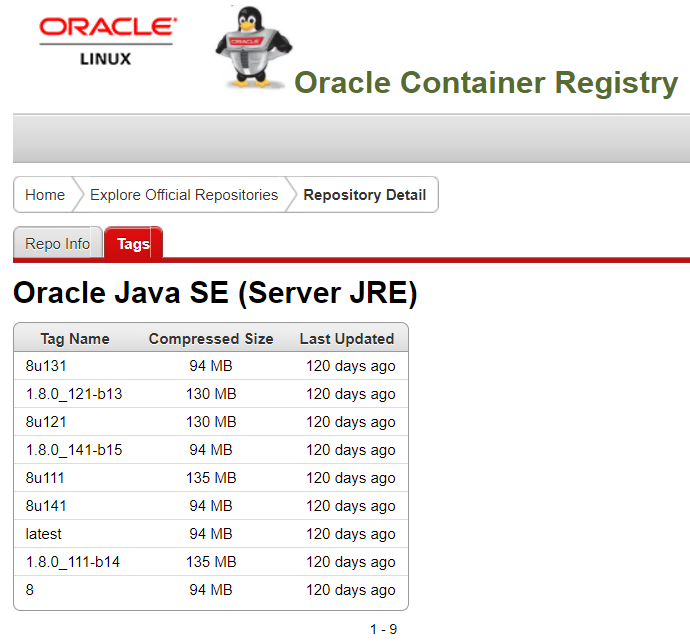 Et voila: the container is running locally based on a pre built image. No local build steps are required, no downloading of required software packages and special configurations to be applied. 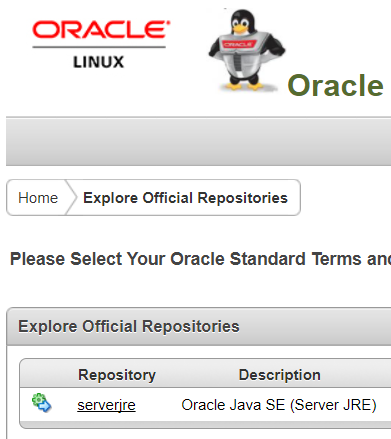 The Java runtime is fairly straightforward. 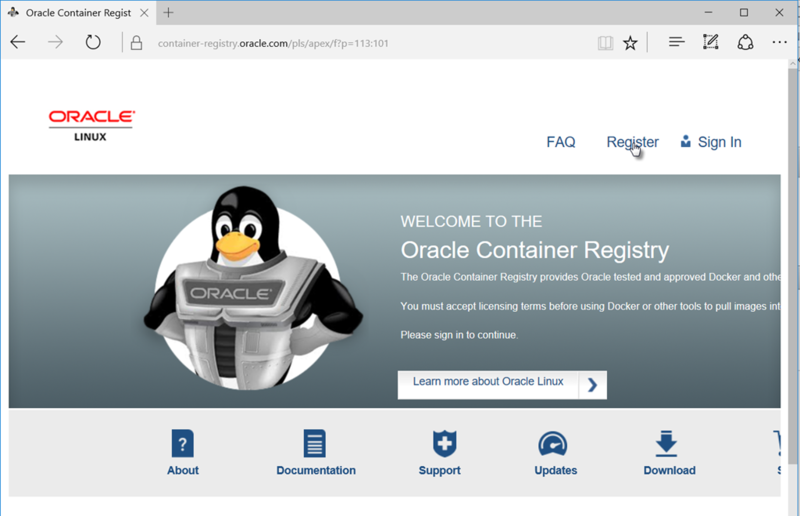 With running the Oracle Docker image for the enterprise database or the Fusion Middleware infrastructure, the gain is even bigger from using the prebuilt image from the Oracle Container Registry. 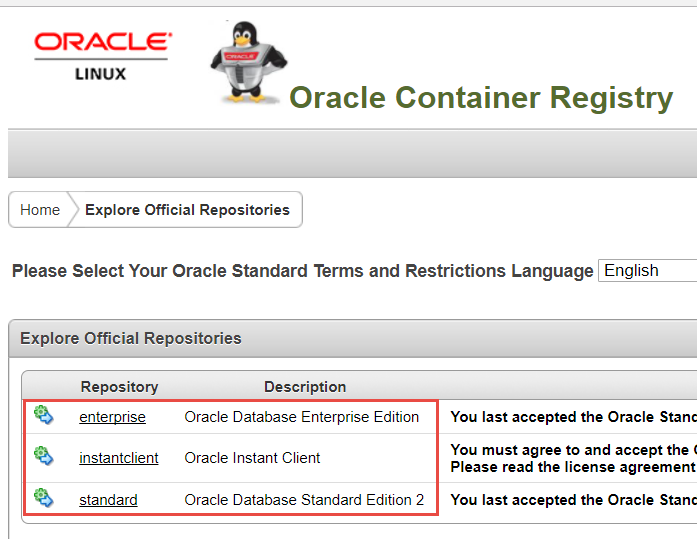 If you want to free up local space, you can of course remove the Oracle Docker image. After all, it is easy to pull it again from the registry.